Fast, simple and the ultimate in convenience! View account balances, verify recent transactions, transfer funds, view check images, view loan accounts, manage your Clear Mountain Bank debit cards and even pay bills from the convenience of your mobile device. * Your mobile provider may assess data and other usage charges. Please check with your mobile provider. Clear Mountain Bank is pleased to announce the addition of our real-time alerts for for your personal, business and mobile banking accounts. Know what’s happening with your money the moment it occurs. Just set up your alerts and relax. If you have any questions regarding these alerts, or your accounts, please do not hesitate to contact your nearest Clear Mountain Bank branch to learn more. Clear Mountain Bank is dedicated to providing continued value and services to help with your personal and business banking needs! Clear Mountain Bank’s mobile banking app has been updated to include fingerprint login support for Android users. Similar to the Touch ID for iPhone feature that was enabled in September, fingerprint login for Android allows users to login to mobile banking by simply scanning their fingerprint. For security reasons, once logged in the app will require users to enter their password if they attempt to perform Bill Pay or Popmoney transactions. Touch ID® Login for iPhone! The latest update to our mobile banking app introduces Touch ID® support for iPhone users. Accessing your finances has never been faster or easier — now all you need is your fingerprint. Enabling this feature will allow you to log in to Mobile Banking by simply scanning your fingerprint. For security reasons, once you have logged in, the app will require you to enter your password if you attempt to perform Bill Pay or Popmoney transactions. If you wish to use Touch ID, you must enable the Touch ID feature after your mobile banking app has been updated. To enable Touch ID, simply click on “Touch ID” from the login screen, and then toggle the Touch ID setting to “On.” That’s it! Now the next time you arrive at the Mobile Banking login screen, you’ll be prompted to scan your fingerprint to log in. If you don’t wish to use Touch ID, don’t worry. This feature is not activated unless you enable it using the instructions above. Images of checks can now be viewed within Mobile Banking. To view a check image, simply click on the check icon when shown in your list of transactions. Clicking on a loan account within Mobile Banking will now display additional details about the account in the upper right corner of the screen, such as balance information, payoff balance, payment due and the due date. Your phone doesn't have internet access? No Problem! Sign up for Text Message Banking. It gets even better if you have a phone with internet access! Sign up for Mobile Web Banking. Have an iPhone, iPad or Android device? There's a Clear Mountain Mobile App for that, too! 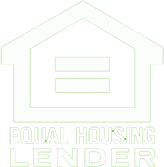 Deposit checks from your own home by using our Mobile Deposit Capability within our Mobile App! 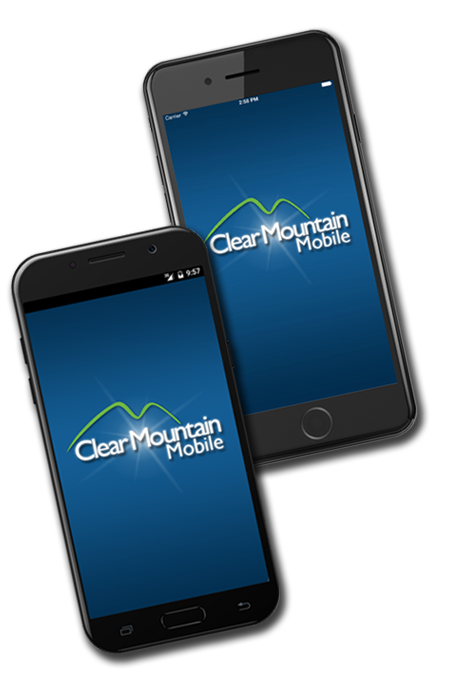 In order to sign up for Clear Mountain Mobile, you must first be enrolled in our SmartLink® online banking service. Simply log on to SmartLink, select "SmartLink Options", then click "Enroll Now" under Mobile Banking Profile. During this enrollment process, you'll get to select whether to sign up for Text Banking, Mobile Web Banking, and/or our Downloadable App. If you're not already enrolled in SmartLink, click here for an application and drop it off at any of our branch locations. iPad is a registered trademark of Apple Inc. All rights reserved.